Biosimilars are subsequent entry biologics (SEB) which are introduced into the market as the original biologic approaches patent expiry. Unlike the biologics, biosimilars are expressed in living cells which brings variability in the properties of the biosimilars. Hence, they possess properties similar to the biologic instead of being an exact copy of the original drug. Biosimilars are emerging as one of the most important sector in the healthcare industry. With increasing healthcare costs, biosimilars are looked upon as an affordable treatment option. The report explains that global biosimilars market is segmented on the basis of product types, technology, application and geography. Based on product types, biosimilars are classified into Recombinant Non-Glycosylated Proteins, Recombinant Glycosylated Proteins and Recombinant Peptides while their applications include Blood Disorders, Oncology Disease, Chronic and Autoimmune Diseases along with Growth Hormone Deficiency under Others category. Each of these segments is further broken down to give an in-depth analysis of the market across various applications and covers the market demand with respect to regions. 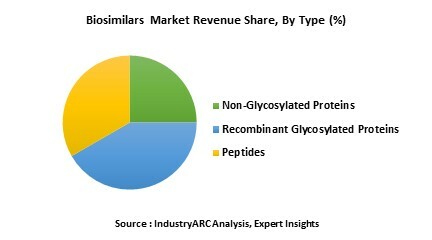 The Biosimilars market is driven by increased demand from the application sector such as blood disorders, oncology diseases, chronic diseases and many others. Economic turmoil in Europe is yet another factor which adds to the demand for biosimilars market. Reverse Innovation will drive down the overall development costs and hence, the high discounting on biosimilars will motivate the patient to opt for it in the long run. The developed markets such as the U.S. and Europe have been the forefront runner. Majority of drugs are currently being developed in these regions. In today’s emerging markets, biosimilars are still nascent, with little to no presence. The growing investor confidence, pressure to reduce costs and discounting is driving the market. On the contrary, lack of awareness and physician scepticism is acting as restraints. With respect to regulatory pathways, the system is in place for developed countries. Problem lies with countries such as China, India and Russia that are still trying to device the pathway. Competitive analysis for biosimilars market is highlighted and market players are outlined and are examined on disparate aspects like company overview coupled with financial overview, product portfolio and recent developments. 15.4. MERCK & CO. INC.
15.9. SAMSUNG BIOEPIS CO., LTD.
15.10. CELLTRION HEALTHCARE CO., LTD.
15.13. TEVA PHARMACEUTICAL INDUSTRIES LTD. Figure 8 Teva Pharmaceutical Industries Ltd.